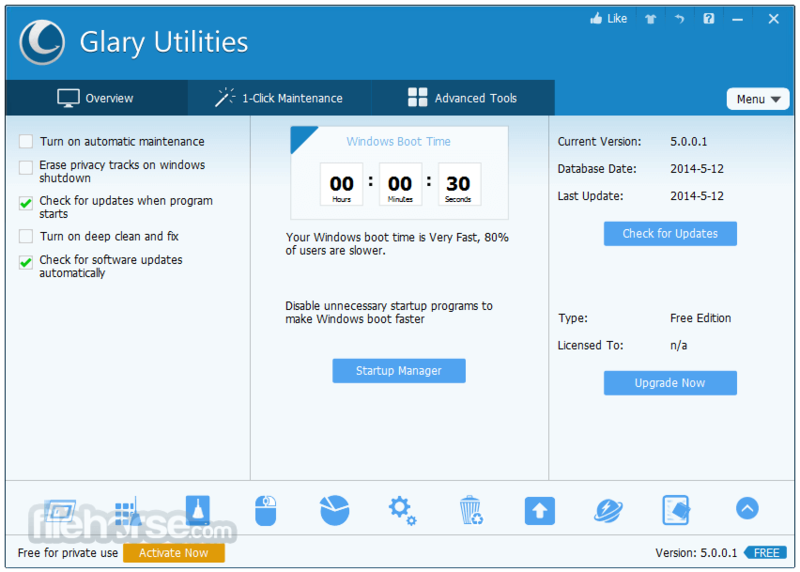 Glary Utilities is a great system optimizer that provides a one-stop solution for PC Performance Optimization. 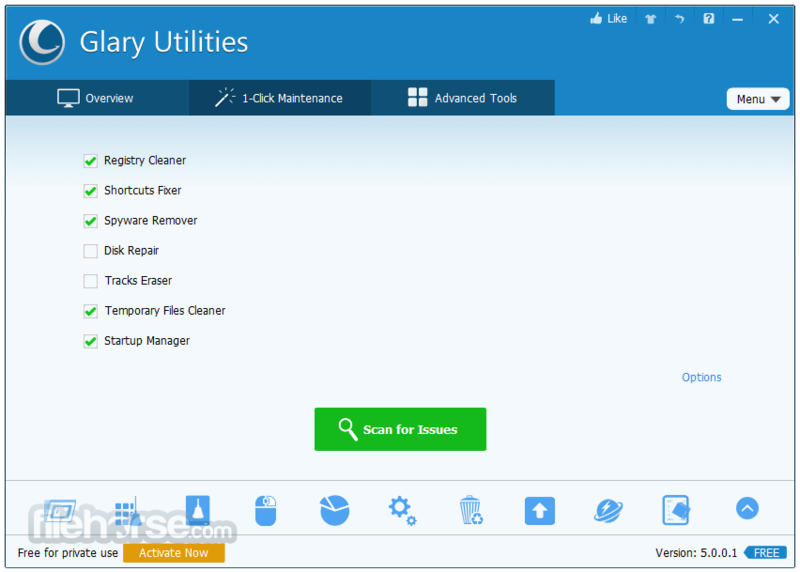 It offers windows registry cleaner, disk cleaner, memory optimizer, startup manager, tracks eraser, system control, file management, system restore, performance accelerator and many other amazing multifunctional tools. With this helper, you can fix registry errors, wipe off clutters, free up disk space, optimize internet speed, safeguard confidential files, recover deleted files, check for software updates and optimize your system. Glary Utilities provides an automated, all-in-one PC care service, including thorough scan for issues like invalid registries, unnecessary startup items, temporary files, Internet history and spyware. Just one click can keep any PC problems away. 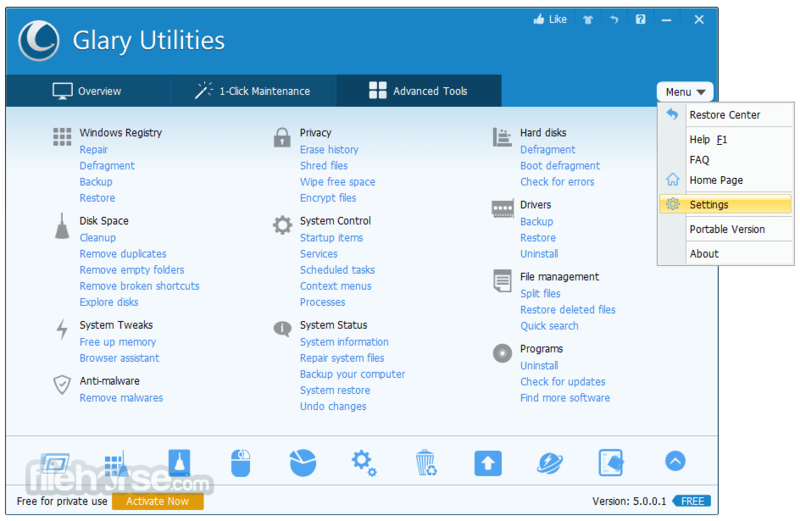 It offers the safest and most efficient registry tool in the market to clean registry and fix registry errors. It cam free up more space by removing invalid registry entries and temporary files. Its process and startup manager lets you intuitively view the running processes. It can delete browser add-ons to accelerate Internet speed, analyze disk space usage and find out duplicate files. 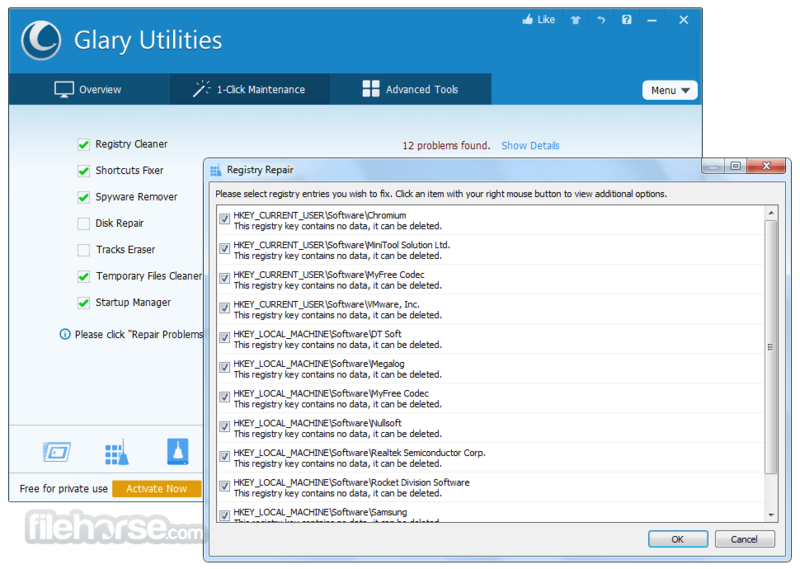 Furthermore, Glary Utilities allows users to uninstall software completely in batch. It also can check for the updates and keep you up with the latest programs. Registry Cleaner - Scan and clean up your registry to improve your system's performance. Shortcuts Fixer - Corrects the errors in your startmenu & desktop shortcuts. Startup Manager - Manages programs which run automatically on startup. Tracks Eraser - Erases all the traces,evidences,cookies,internet history and more. File Shredder - Erases files permanently so that no one can recover them. Internet Explorer Assistant - Manages Internet Explorer Add-ons and restores hijacked settings. Disk Analysis - Get details information of the desired files and folders. Duplicate Files Finder - Searchs for space-wasting and error producing duplicate files. Empty Folders Finder - Find and remove empty folders in your windows. 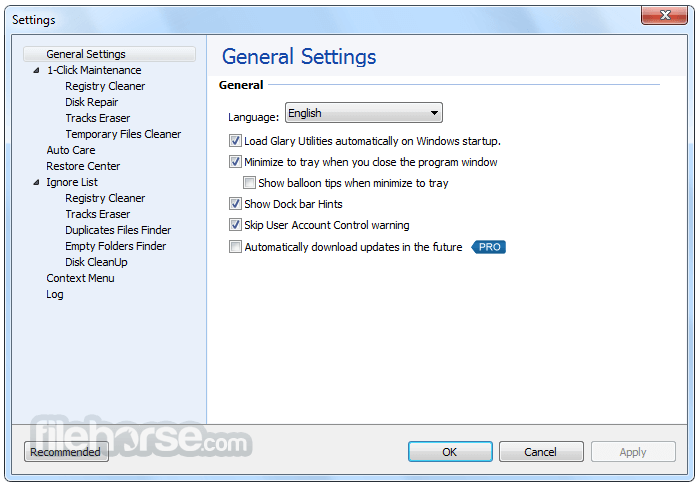 Uninstall Manager - Completely uninstall programs you don't need any more.